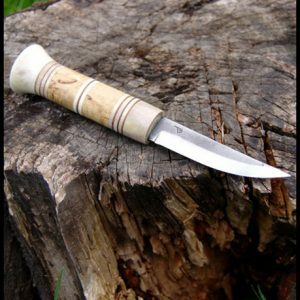 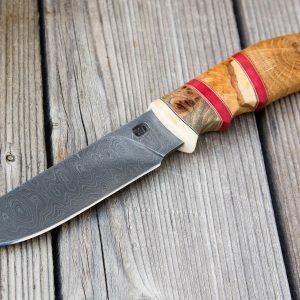 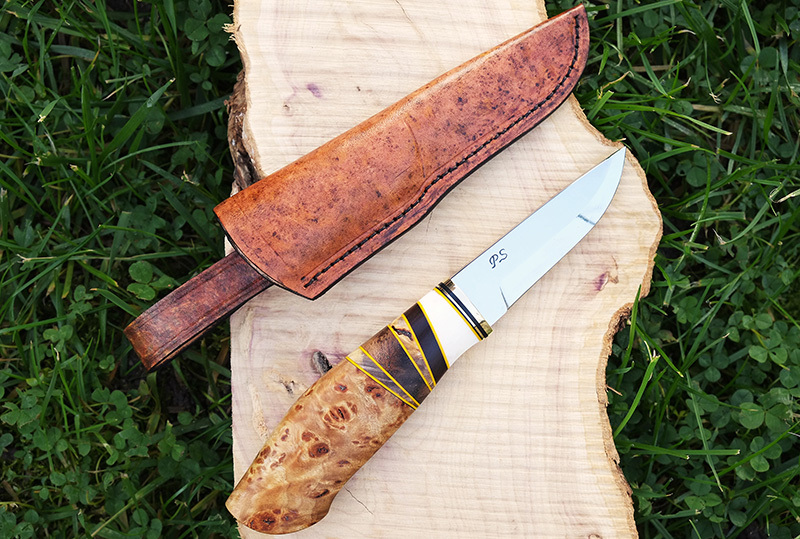 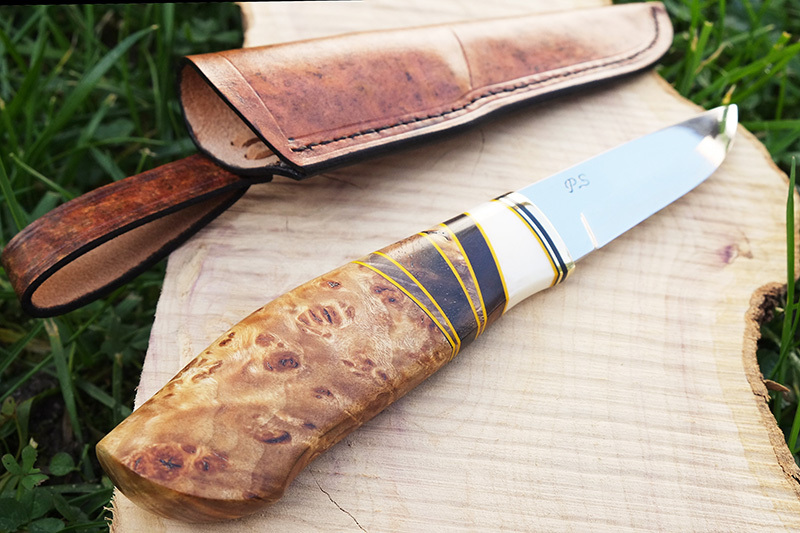 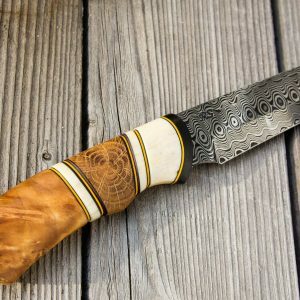 The blade of this knife is made by the famous Dutch forger Poul Strande . 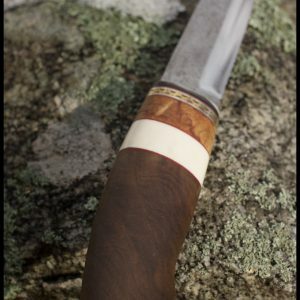 I have used many blades from him and it’s always a pleasure to work with them. 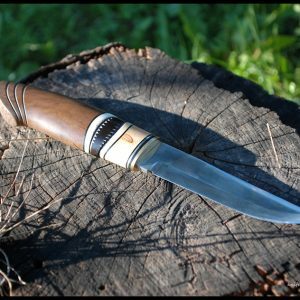 Great craftsmanship. 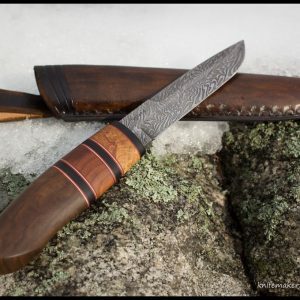 This particular blade is made from carbon steel. 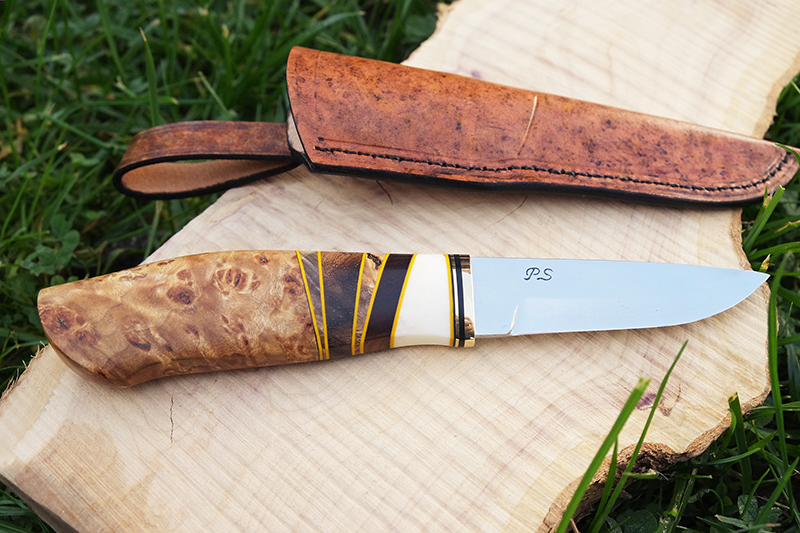 I used a lilac tree, reindeer antler, black and yellow micarta spacers, brass and a black water buffalo horn. 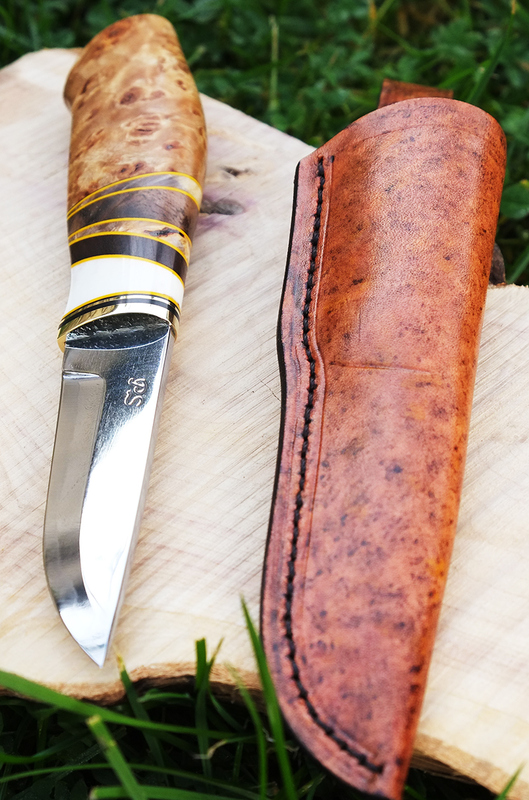 The sheath is vegetable tanned leather.